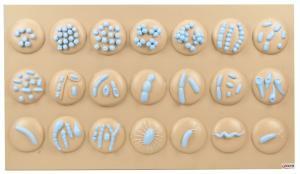 This model shows 21 different types of bacteria and bacterial organization. 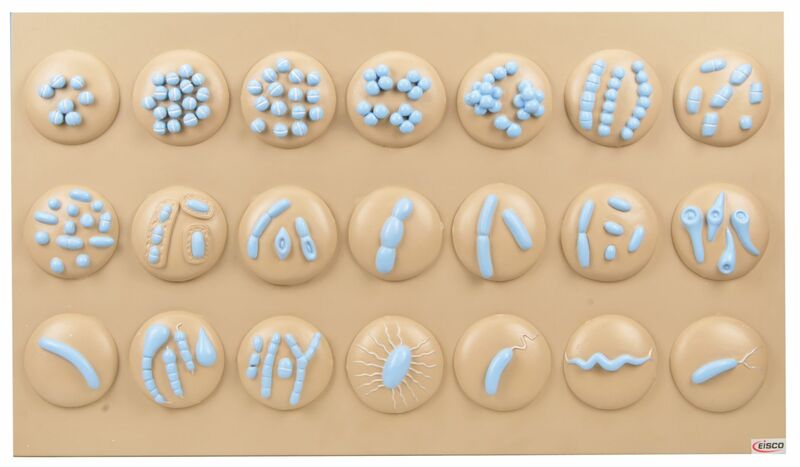 Students can see the differences between staphylococci and streptococci. Everything is labeled and incorporated into a single backer.